Well, the lazy thing to do now is to borrow a quote & avoid having to say too much. Source: C.S. Lewis in “The Four Loves”. Taken top of Wilkie Terrace Road – sometime in 1988-9?? No digital cameras then of course. 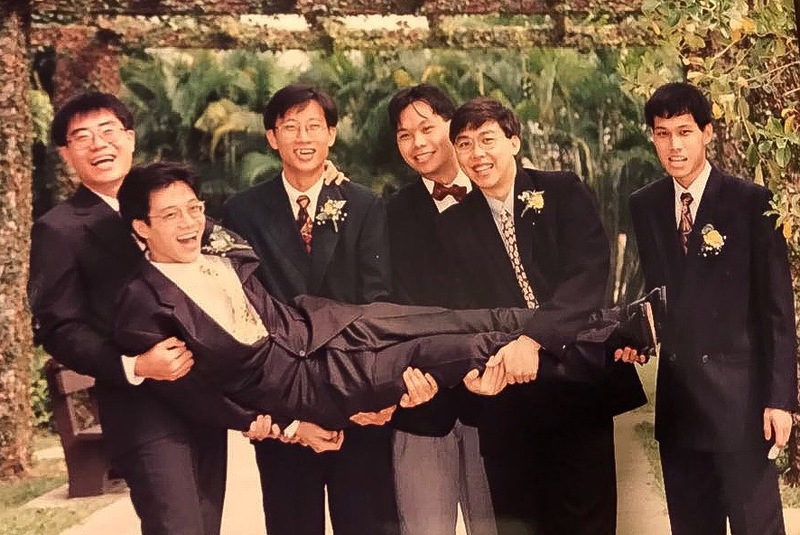 Taken at NUS Medicine D&D for sure…..but not sure 1988 or 89.
still can’t figure 1988 or 1989. Taken impromptu outside Chiao Lin’s house at Cooling close. The park was just nice. Now it’s been renovated and redone till it’s so artificial. Think Ian was the chief driver.